If the $199 Nexus 7 with 16GB sold directly from Google Play wasn’t cheap enough and you still need an excuse to get yourself into the hottest Android tablet of the last year, consider today’s deal at 1SaleADay. 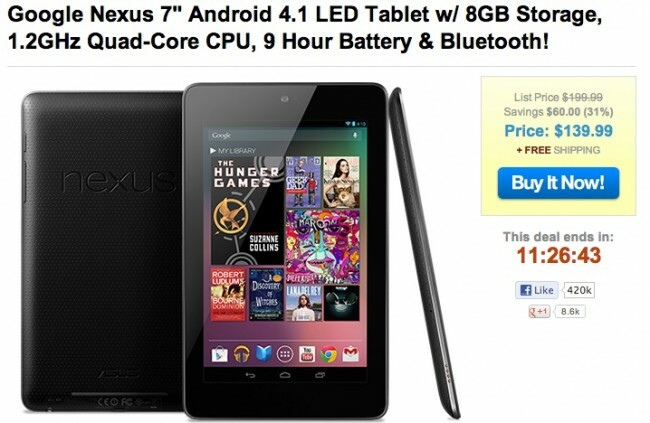 They are offering the 8GB Nexus 7 in refurbished form for $140 with free shipping. That’s a decent deal, though we have nothing to compare the price to since the 8GB model was discontinued some time ago. Cheers Brandon, Ben and Barry!